Hey guys! 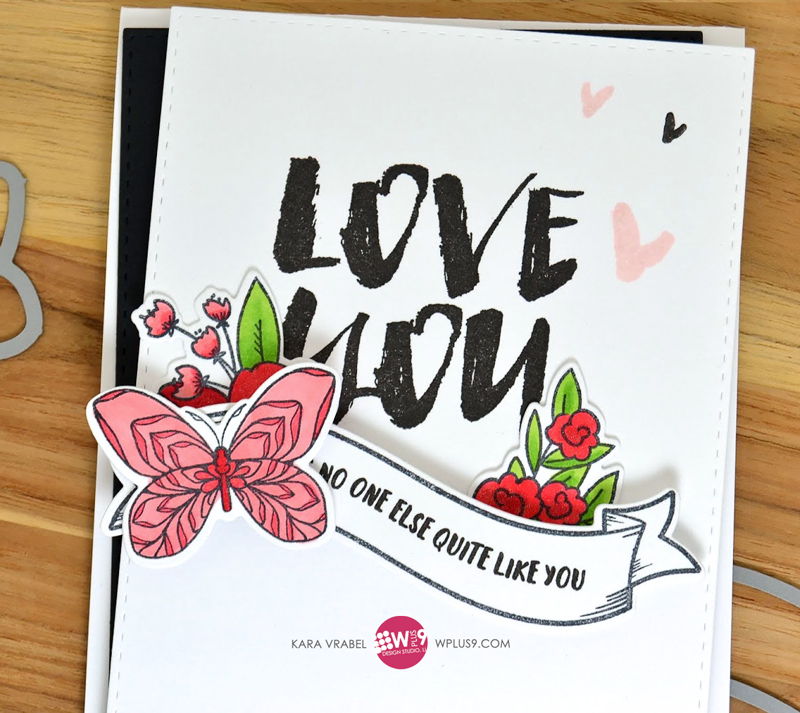 Valentine's Day is just around the corner and I needed a card for my husband, Ryan. 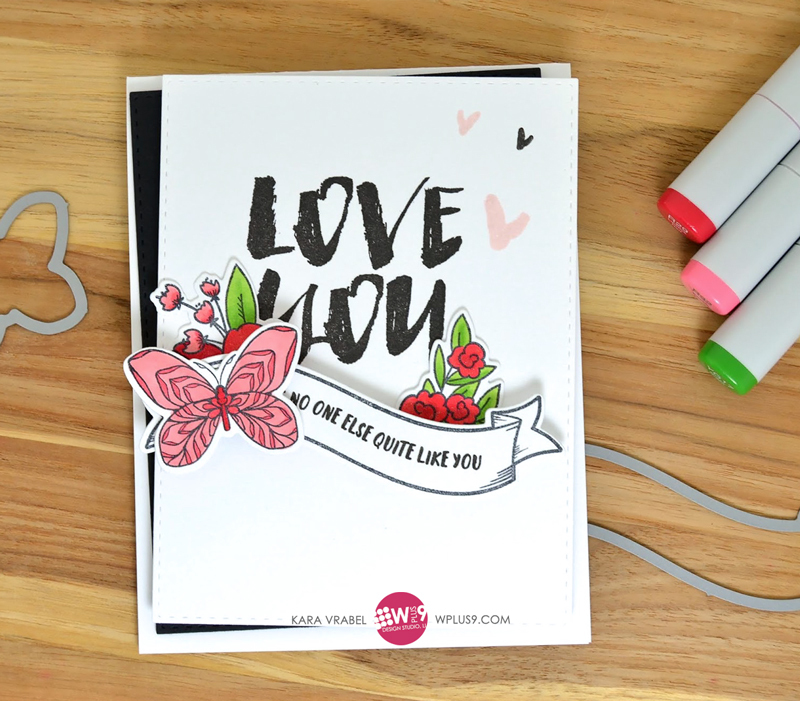 This card mixes a ton of amazing stamp sets! I started by stamping the large 'love you' sentiment from Biggest Fan in the center of a white card panel. I positioned it slightly closer to the top because I knew I wanted to accent the bottom with a banner and other details. This way the entire design is centered. I used the banner from Autumn Blessings. It has a cool tattoo like vibe that I think works really well with the 'love you' font. 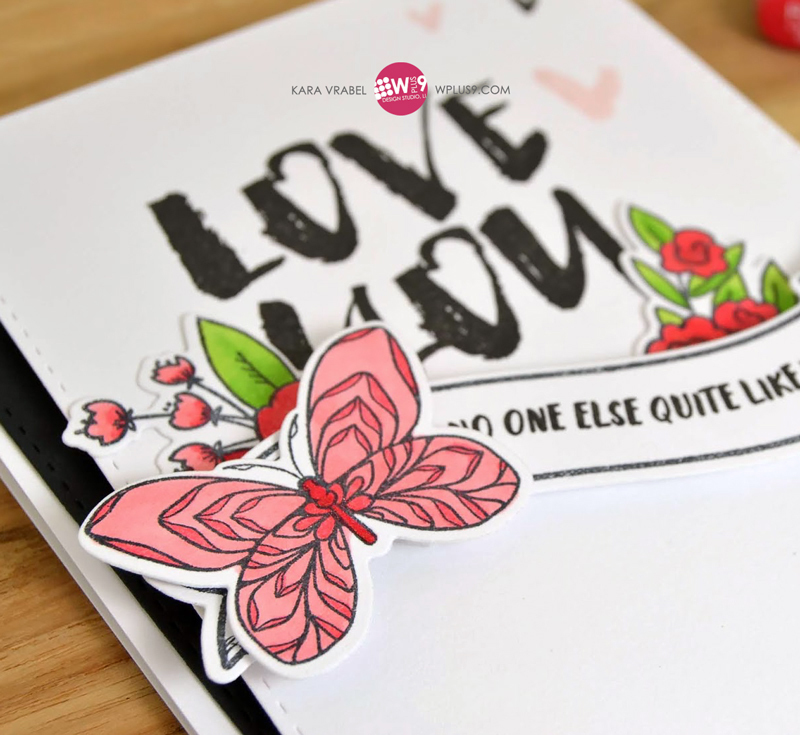 On it I stamped the 'there's no one else like you' sentiment from No One Else. Again, I think this font really works well with the design. Using my Copic markers I colored flowers from Hello & Thanks to place behind the banner. On top of the banner I placed a butterfly from Butterfly Mandala. 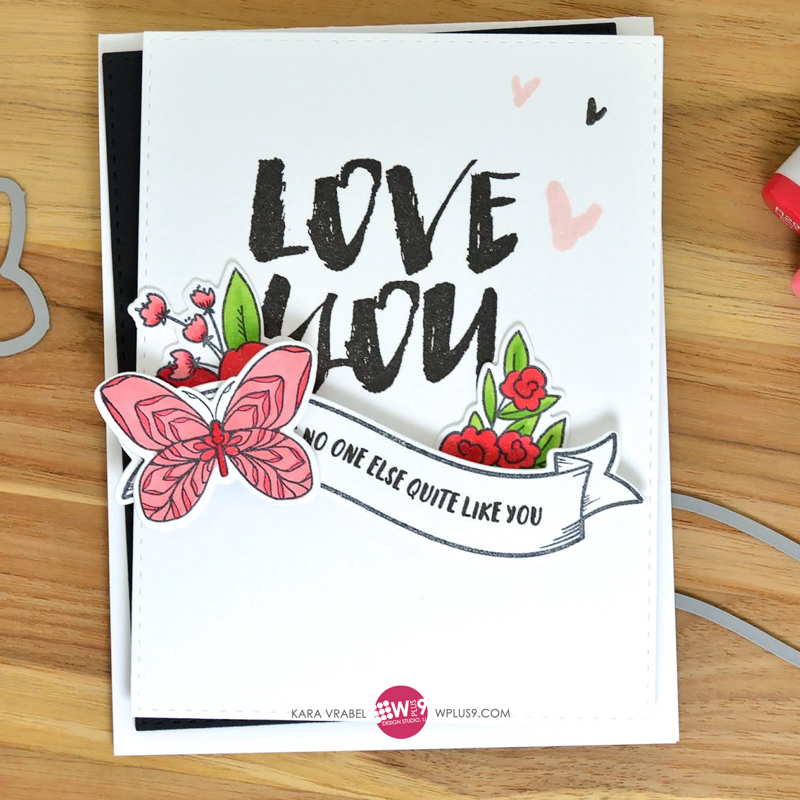 Since the butterfly was placed on the right I accented the left of the design with a few hearts from Biggest Fan to balance it all out. I just love how these classic images, when used together with a few more modern styles, take on a much more updated look.